In 2017, nature wrought havoc on the world of wine, with fires in California and devastating frosts and hail storms in Europe. France, Spain, Italy and Chile have all had smaller harvests and we could see a global shortage of wine. In this country we will most likely see the implementation of the Public Health (Alcohol) Bill, which will have a significant effect on how alcohol is sold. This column has always been in favour of drinking less, but drinking better. With the introduction of minimum pricing, the days of really cheap wines may be over. This is a good thing. Can we rely on the multiples to improve their range, or will they simply offer the same wines at a higher price? And will consumers head north or south to France in search of cheaper booze? My suggestion for 2018 is to shop local and trade up. Instead of buying three bottles for €4.99, treat yourself to one great wine for €15. You will certainly notice the difference while cutting your consumption at the same time. I am more worried about the proposed back-labelling of wine. Unless done on a Europe-wide basis, it will cause serious problems for importers who work with small artisanal producers. We may see many really interesting wines disappear from our wine shops. As far as I can see, the legislation does not address the increase in outlets, on and off-trade that sell alcohol. As to what we will be drinking in 2018, Cabernet Franc grown in the Loire Valley seems to fit current tastes perfectly: light in alcohol, with juicy ripe fruits and refreshing acidity. We should be drinking more. In the past, some wines were a little green and herbaceous, but thanks to better viticulture and winemaking, the wines are so much better. 2018 could be the breakthrough year. 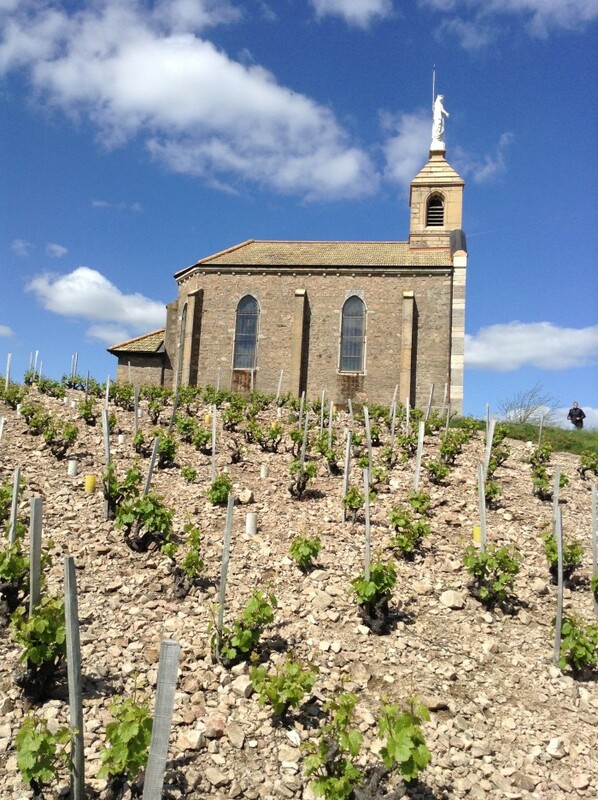 As Burgundy prices continue to rise, canny wine drinkers will start drinking the various Crus of Beaujolais. Spain will continue to excite us with a steady stream of brilliant wines. As well as producing well-made inexpensive wines, Chile now offers some real excitement, including wines made from ancient ungrafted bush-trained vines in the south of the country. I can see natural, less interventionist winemaking improving still further and starting to influence conventional producers. Prosecco is still wildly popular, but there are so many more interesting bottles of fizz available. Will 2018 be the year of cava? Sales are dominated by two large companies, but there are more than 200 producers in Catalunya, some producing great wine at reasonable prices. I do like good Champagne, but other regions of France, the Loire, Alsace, Limoux, Burgundy, produce very good crémant, sparkling wines made in exactly the same way, at much cheaper prices. Refreshing off-dry fizz with mouth-watering strawberry fruits. A handy alternative to prosecco. Drink as an aperitif, or with richer fish dishes. A mere 12% in alcohol, this is a delicious light juicy red wine, packed with ripe blackberry and blackcurrant fruits. Drink with white meats, such as chicken and pork, or try it with grilled salmon. Made from 80-year-old cinsault, País and Carignan vines, this is a powerful full-bodied earthy wine, brimming with spicy rich damson fruits. Perfect with a steak. This might seem expensive, but it is an exceptional wine. Wonderful pure perfectly ripe black fruits ripple across the palate. Soothing and refreshing. Serve with roast chicken or pork. 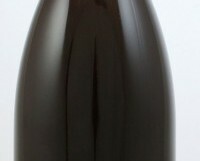 Stockists: Grapevine, Dalkey; Cabot & Co, Westport cabotandco.com; 64 Wines, Glasthule; The Poppy Seed, Clarinbridge. 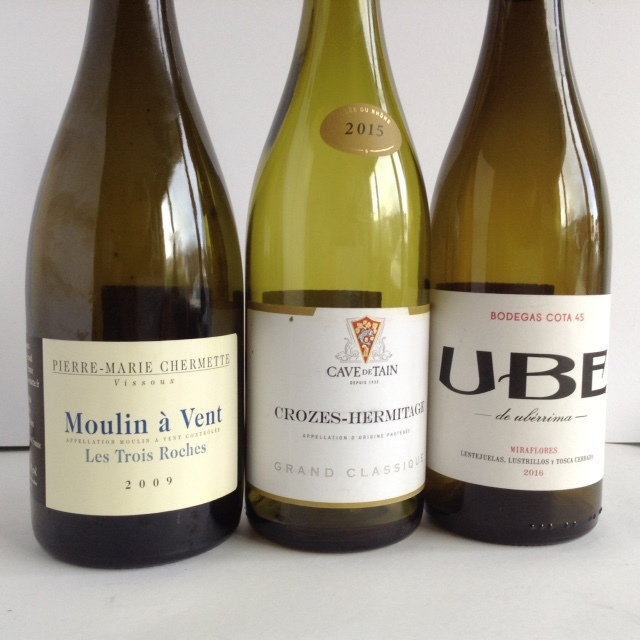 €35 from Wines Direct, Mullingar & Arnott’s, Dublin. I would drink this with a plate of really good charcuterie. Salami and Beaujolais make a great match. But a pâté en croute sounds perfect. I had a memorable visit to the Bret Brothers a few years back. They make a range of excellent age worthy white wines from their vineyards in the Mâconnais. This is new to me however; a red wine from the Beaujolais region. As with many of their wines, it is made from biodynamically grown grapes. Morgon is one of the top ‘crus’ of the Beaujolais, producing wines that can taste very like Pinot Noir when aged; and it is worth ageing the wines of Morgon and Moulin-a-Vent. This wine is expensive, but well worth it. I love Beaujolais; the place and the wine. I have recently returned from a visit, which reminded me that this is one of the loveliest wine regions of all. In fact, if you are planning a cycling, walking or driving trip in France, I would give serious consideration to Beaujolais and the equally unspoilt Mâconnais region. Beaujolais is misunderstood by some and dismissed by others. Older readers will have memories of drinking awful Beaujolais Nouveau many years ago; younger wine-lovers, weaned on rich Aussie Shiraz may be nonplussed by a lack of oomph. 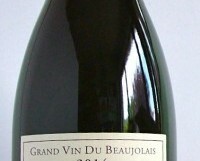 Beaujolais is the perfect summer wine; light, refreshing and fruity, it is a true vin de soif. Cool it a little, then kick back and enjoy those vibrant pure fruits over an alfresco dinner or lunch. All Beaujolais, including the cru wines, tend to be low in alcohol (usually 12.5-13 per cent), so they make great (if pricey) party wines too. There is far more to Beaujolais than simple summer drinking though. The region divides neatly into two sections. The southern half is home to much of the less expensive glugging Beaujolais, although there are a few really good growers here. In the northern half you will finds the top 10 villages, or “crus”, entitled to use their own name on the label. All are situated on more granitic soils. These include the familiar names Fleurie, Morgon and Moulin-à-Vent. Each has its own distinctive style, ranging from light, delicate and fragrant to more powerful, richer wines. Don’t get too hung up about drinking the youngest wine either; some of the crus age very well. I am currently finishing off my last bottles of a wonderful fragrant 2008 Moulin-à-Vent, and tasted an exceptional 1990 (yes, 1990!) Beaujolais Villages on my visit to Domaine des Nugues. However, in general with the crus, two to three years will see some improvement, and these are the vintages on our shelves. Lesser wines are best enjoyed in their glorious precocious youth. 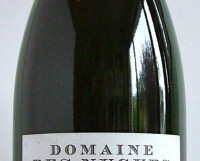 There is certainly no shortage of cheap wine from the Beaujolais region, including some of the crus. These tend to be uninspiring. Better to go for a fresh fruit-filled Beaujolais instead of a Fleurie at the same price. Vintages do matter too: 2013 and 2014 were both very good, and 2015 was near perfect. The wines go brilliantly with pates, cheese, a few salads and a crusty baguette. The top crus can go perfectly with all things porcine, including belly of pork, ham and boiled bacon, as well as roast chicken. On my arrival home, tired after a long journey, I cooked myself an omelette and drank a glass of delicious fruity Beaujolais – perfection! Wonderful aromas and pure sweet red cherry and blackcurrant fruits with a touch of liquorice. Stockists: Martin’s, Fairview; 64wine, Glasthule. Lively perfumed nose with supple rounded red cherry and raspberry fruits. Stockists: Mitchel & Son; Wilde & Green; Myles Doyle, Gorey. From forty year-old vines, a delicious fragrant wine bursting with crunchy red cherry fruits. Stockists: Wines Direct online, Mullingar & Arnotts, Dublin.